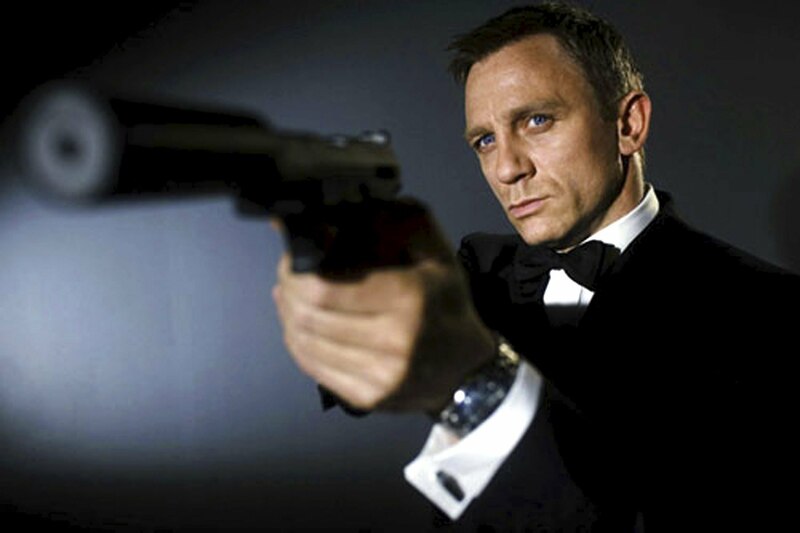 Confession time – I’m not a big fan of James Bond. To this day, I’ve only seen a few James Bond films, in particular “Goldfinger,” “Dr. No,” “Casino Royale,” “Die Another Day” and “Skyfall.” And while the two Daniel Craig Bond films I’ve seen have amazed, they have not made me want to see the other roughly 20 movies in the franchise. It is like discovering the Godzilla franchise for the first time. You learn there are 30 films in the series, most of which aren’t that great, and you’re put off by a task so large that may not yield great results. Even so, I’d still take Godzilla over James Bond. While Bond is the man who every man wants to be and every woman wants to be with, I could never get past his dead-pan reaction to every thing he encountered. The building behind him blows up? Eh, it had it coming. The woman he was sleeping with is dead? That’s a shame, have room service send me up another. Another assassin is after him? Is it Tuesday already? I get that he is an assassin that has been desensitized to violence and crime over the years, but he has become so removed from reality that his childhood home blowing up gets little more than one quip out of him. Do I hate the James Bond films? Not all. Like I said, I really enjoyed “Casino Royale” and “Skyfall,” plus “Goldfinger” was action-packed and had a good sense of humor from Sean Connery. But I would not call myself a Bond fan, just someone who respects the franchise. With that said, I also respect where the most recent Bond film, “Spectre” is coming from. I’ve seen so many people bashing it for being boring, far too long and implausible, far removed from the realistic tone of the Daniel Craig films thus far. But “Spectre” was going for something much different from “Casino Royale” or “Quantum Of Solace,” and that was to pay tribute to the older Bond films, like “Dr. No” and “Goldfinger.” A film where the villain’s plan is elaborate and convoluted, Bond is always grasping for even a moment’s break, and the action is high and non-stop. 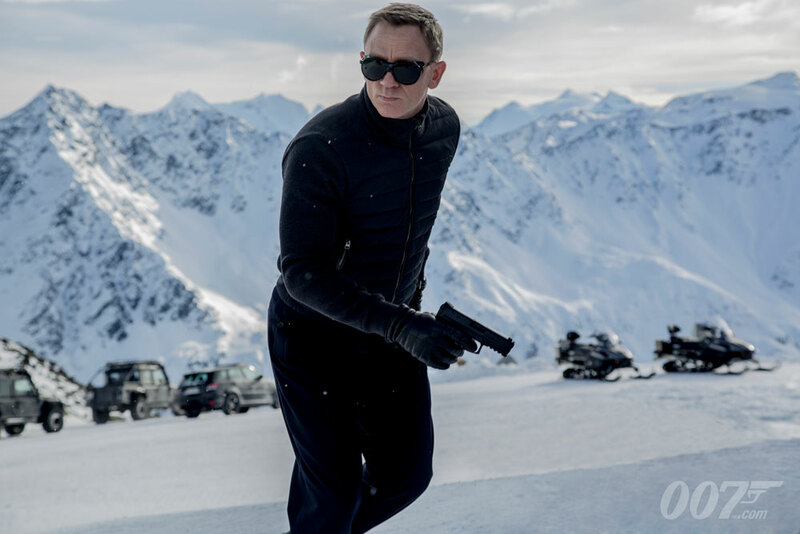 However, “Spectre” still has its share of problems. Set shortly after the events of “Skyfall,” James Bond (Daniel Craig) has been assigned one last mission by his former boss, to track down and kill a man who even his current boss, M (Ralph Finnes), has never heard of. What Bond finds though is a trail of bread crumbs leading him to a man who has been considered dead since James was a boy. This man, Franz Oberhauser (Christoph Waltz) has a plan for Agent 007, and intends to use his shady connections to ruin Bond’s life. There are several memorable scenes throughout “Spectre,” and they all deal with convoluted action sequences that would make “Mad Max: Fury Road” blush. The opening sequence comes to mind, where a building collapses onto Bond, followed by a fist fight inside of a helicopter over Mexico City with the streets overflowing with bystanders, hoping that the blades come nowhere near them. I was blown away to see the helicopter fly upside down yet moves so smooth through the air, as if it had been launched off a ramp. Not to mention, preceding that sequence was four-minute unbroken steady cam shot that followed James Bond from the streets, into a hotel, and to the rooftops of Mexico City. Seriously, opening your film with a long scene that is unedited is one of the best ways to get the audience’s attention. The chase sequence through the snow-capped mountains of Austria was also breath-taking, as the plane Bond uses slowly disintegrates and the kidnappers get further away. 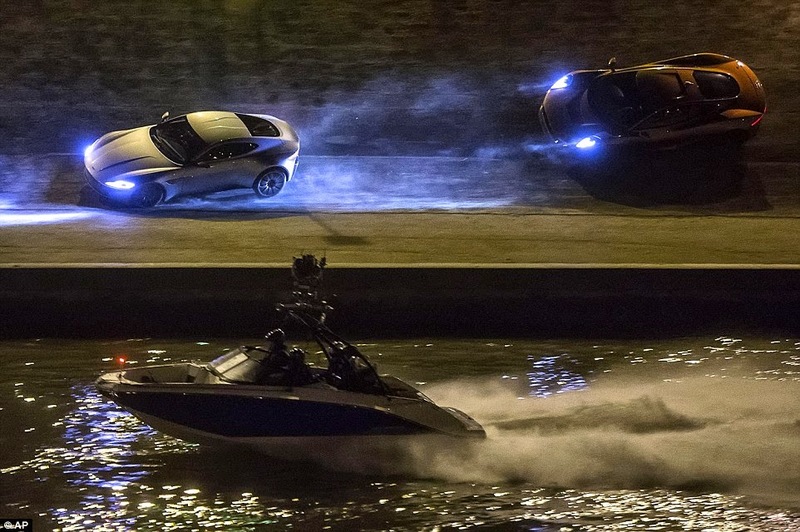 It was also a nice change of pace to see Bond doing the chasing and being in a vehicle normally associated with the villains. I think I heard people in the audience clapping at the end of this sequence, and it rightfully deserved that. 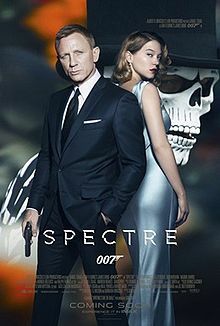 That being said, that story of “Spectre” was nothing special and almost ruins the earlier Bond films. As it turns out, Christoph Waltz’s character is actually Ernst Stavro Blofeld (complete with cat and scar across the eye) and he blames everything bad in his life on James Bond, and that he was the one who orchestrated villains like Le Chiffre in “Casino Royale” and Silva in “Skyfall,” just to get back at Bond. In other words, Le Chiffre didn’t want to get out of the clutches of terrorists across the world or anything personal, but was all a puppet for Blofeld’s needs. Silva didn’t want revenge on M for abandoning him when he needed her the most, but was a tool to get back at James Bond, because Blofeld apparently had daddy issues. I wouldn’t have had a problem with this if Blofeld’s reasons for hating Bond weren’t so baffling – Blofeld’s father adopted Bond after his parents died, and Bond “stole his father away from him.” Waltz makes the comparison to a cuckoo, which throws out the babies of another bird’s nest so that another set of parents will take care of it. Except that, based off the photos, Blofeld’s father clearly spent time with him after adopting Bond, and the two were together in the accident that supposedly kill them. And all the while, Bond has no reaction to any of this. He just found out that Blofeld killed the only woman he ever loved, sent a former agent to kill his boss, and he says nothing about substantial about it. Up to that point, the story is one action set piece to another, in trying to get Bond to Blofeld. But once we get to the reason behind Spectre going all out in stopping James Bond, the plot goes all over the place, trying to wrap everything up nicely. “Spectre” does not even take advantage of Christoph Waltz’s talent, as he always speaks in a low tone of voice, unimpressed by anything. Even when torturing Bond, the man “responsible” for all his pain, he looks as though he’d rather be eating a sandwich. Waltz is at his best when he’s living it up and having a great time taking advantage of other people’s naivety and stupidity, which is absent in this role. That is unfortunate. Overall though, “Spectre” was a blast. High on action and low on intelligence may be a different game than the previous Craig Bond movies play, but as a tribute to the Connery Bond films, this one pulls it off nicely. 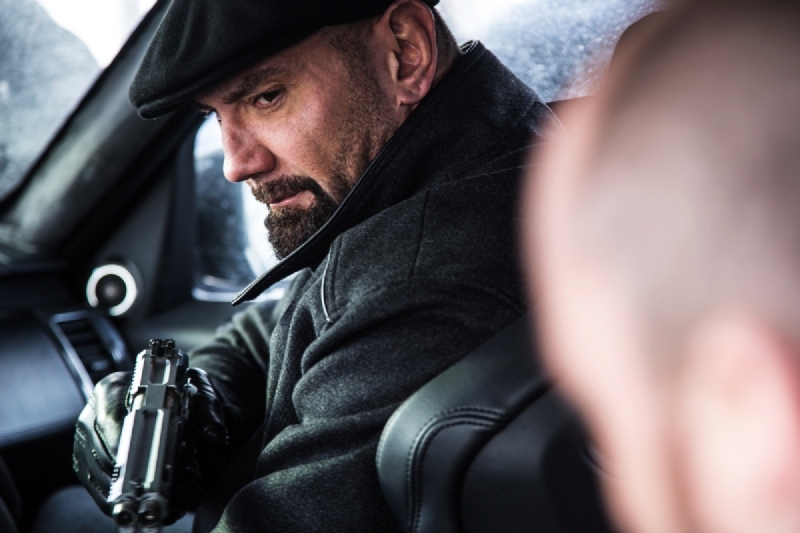 The story is a mess and the acting is not as crisp as it has been, especially from Waltz, but the action sequences are some of the best this year. This is not one of the best James Bond films, but it was certainly a fun one.